Thank you for a Wonderful Workshop! 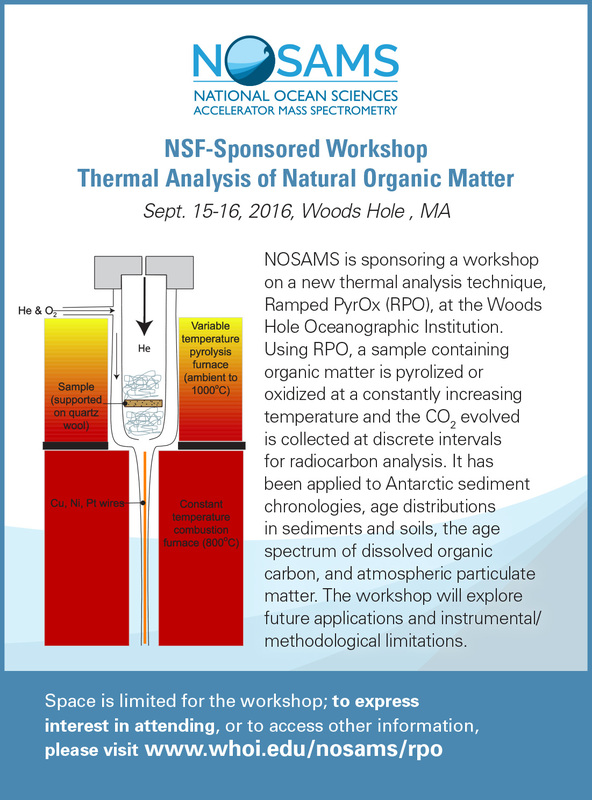 NOSAMS sponsored the inaugural workshop on Thermal Analysis of Natural Organic Matter on 15-16 of September 2016 at the Woods Hole Oceanographic Institution. 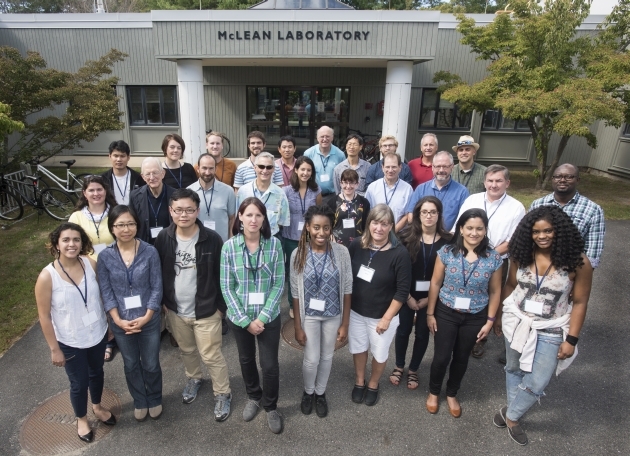 A group of over 30 scientists attended the workshop and discussed conceptual advances of the thermal analysis coupled with 14C dating of organic matter, collectively known as Ramped PyrOx 14C. These methods seek to decompose OM into a spectrum of thermal reactivity and attendant radiocarbon contents, unraveling contributions from different pools of carbon. It has been applied to Antarctic sediment chronologies, age distributions in sediments and soils, the age spectrum of dissolved organic carbon, and atmospheric particulate matter. The workshop explored future applications and instrumental/methodological limitations. To read the workshop summary visit the EOS white paper here.